The Wine and Spirit Education Trust (WSET) has welcomed Vzdělávací Centrum MKM as the first ever Approved Programme Provider (APP) in the Czech Republic to offer its wine and spirits courses. Demand for wine and spirit education is rising, with WSET global candidate numbers up 18% in the 2015/16 academic year and course registrations up 28% this year to date. According to CBI research1, the Czech Republic is an emerging wine market in Europe thanks to a growing young urban professional class and steady economic growth. Vzdělávací Centrum MKM has joined WSET’s network to cater to the Czech Republic wine and spirits community. Vzdělávací Centrum MKM is an education centre in Brno providing training in various areas ranging from specialised language courses to professional qualifications. As an APP, the centre will offer WSET Levels 1 and 3 Awards in Wines, Level 2 Award in Wines and Spirits, and Levels 1 and 2 Awards in Spirits to educate both beginner enthusiasts and industry professionals. 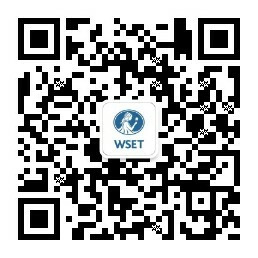 Now the WSET courses will finally become a reality. I wish the new APP all the best of luck in Brno. Vzdělávací Centrum MKM is one of over 30 new APPs confirmed this academic year to date across the world to offer WSET courses, and extends WSET’s global presence to 72 countries. To learn more about Vzdělávací Centrum MKM or book a WSET course at the centre visit www.mkm.cz Please note courses are conducted in English.